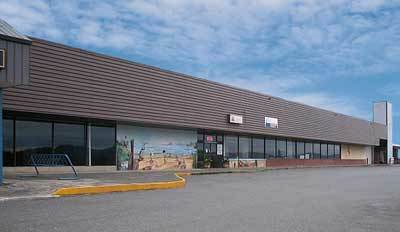 Our Commitment | Hardy Buoys Smoked Fish Inc.
Hardy Buoys Smoked Fish Inc. is dedicated to producing the highest quality smoked seafood items. We maintain our processes and procedures over and above industry standards. We identify and purchase fish only from suppliers who can adhere to all regulations and Hardy Buoys superior standards to ensure only the safest and highest quality products. As we incorporate new technologies to improve product quality and safety, we refuse to abandon what we are known for: We put delish in fish! We pride ourselves on our commitment to your family’s expectation of quality, food safety and premium taste. Our plant is federally registered under the Canadian Food Inspection Agency. Our Federal Registration Number is 0746. 1. 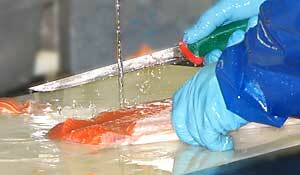 We source only the finest fish available and never use artificial colors or flavors to mask defects. 2. We smoke our fish one batch at a time using only natural smoke generated in the smokehouses from burning Alder wood chips. We never use liquid smoke or other smoke flavors. 3. We stand behind all of our products and are confident that we provide a superior eating experience for our customers.